We will bring people to the banks of the Rouge River and let them experience the beauty, culture and history that is there, while offering an innovative model of collaborative, place-based design that may inform future efforts to revitalize industrial areas. The Fort-Rouge Gateway (FRoG) Partnership began in 2011 as an informal discussion among governmental, nonprofit and community stakeholders. It’s focused on the new Fort Street Bridge as a place-making opportunity and potential catalyst for increasing public access to the Rouge riverfront, enhancing life-giving green infrastructure and interpreting the region’s complex past. We celebrate the vitality of the Rouge River as a natural, economic and cultural resource for our entire region. 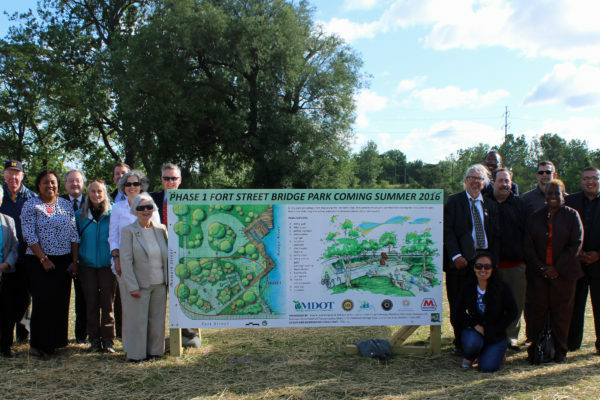 Through the interconnection of historical interpretation, bike and water trails and motor tours at the site of the Fort Street Bridge, we see the potential for residents and visitors to experience the river and its environs in multiple ways. From tour boats and kayak launches to sustainable agriculture and urban forestry projects all placed amid the epic industrial landscape, the Fort/Rouge Gateway offers a unique entry point to the region, its resources and its history. 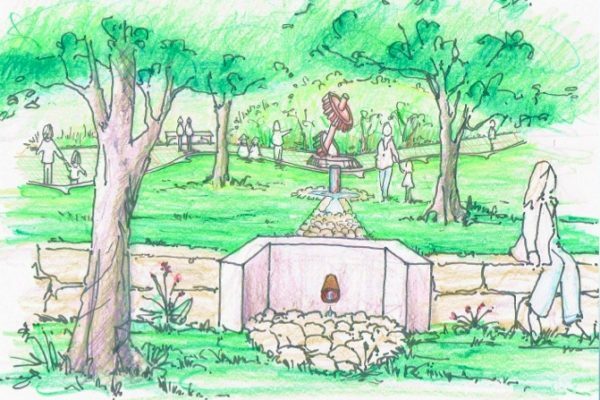 The design of the park is meant to invite and include multiple publics: local residents, tourists, workers in area businesses and regional commuters. In terms of policy and governance, we contend that multi-stakeholder collaborations such as FRoG have the potential to not only shift landscape use in significant ways but to alter reigning paradigms concerning what is possible in industrialized regions. Decentralized management, distributed across community, volunteer, nonprofit governmental and industrial partners, may contribute to the project’s resilience because different partners may step up to respond to different challenges. This partnership has potential to catalyze other such projects up and down the river, using a rhizomatic approach in which different organizations and actors are connected through a web of shared social and ecological principles. We would like to invite visitors to the Fort Street Bridge Park site, which should be nearing completion, if not fully complete, by September 2018. 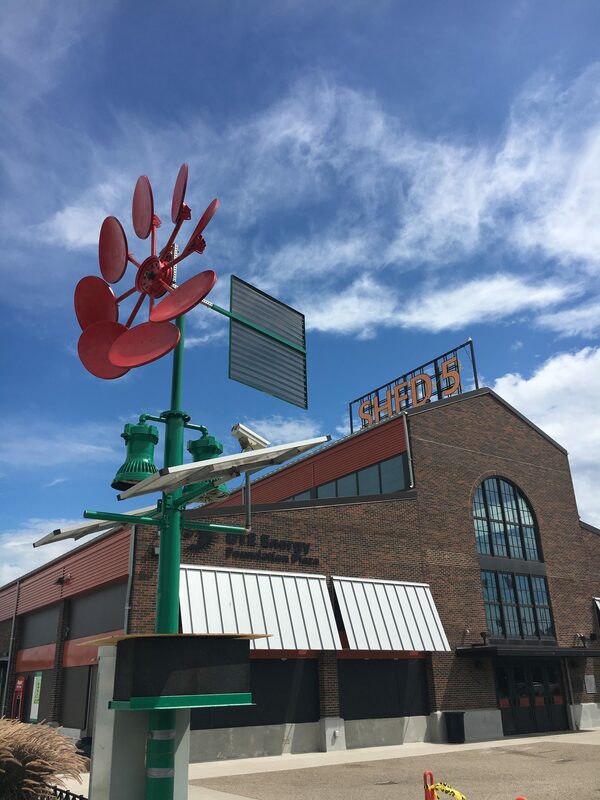 This interpretive park site has two central goals: preserving the important labor history associated with the bridge site, and expanding and enhancing publicly accessible green space. The design problem presented was that of synthesizing these apparently quite distinct dimensions of the project. This is solved through the orchestration of the physical space, which will feature a central gathering plaza with a sculptural element and interpretive displays, surrounded by a multi-tiered rain garden that would cascade down to an enhanced riverbank habitat. The common underlying themes that unite the design are: 1) the importance of place; and 2) the valuing of otherwise invisible labor, drawing a connection between the unacknowledged sacrifices of workers and communities and unseen work done by ecosystems underlying both community and industry.